Table Mesa is the home to King Soopers, which occupies this free-standing building situated at one of Boulder’s busiest intersections. 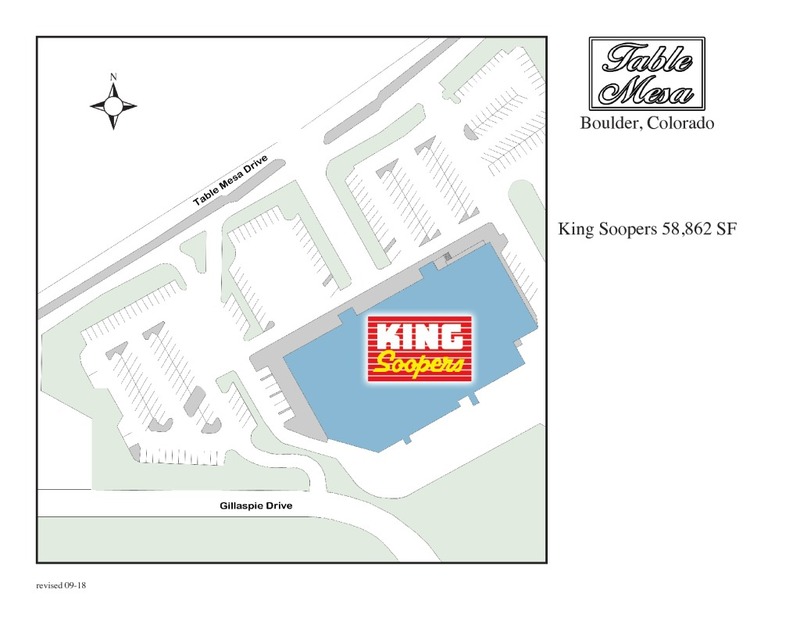 Situated on the southeast corner of Table Mesa Drive and Gillaspie Drive, this site is..
Table Mesa is the home to King Soopers, which occupies this free-standing building situated at one of Boulder’s busiest intersections. Situated on the southeast corner of Table Mesa Drive and Gillaspie Drive, this site is located in an upper-income, primarily residential neighborhood and high daytime employment centers, including the University of Colorado.